Copycat is a new project for which I will copy parts, or maybe even everything, from a program. Just to see if I can manage to get the exact same part done. Of course I will write about it how I did it. Call it a learning experience. Take for example the utility Ranger from Steven Solie. 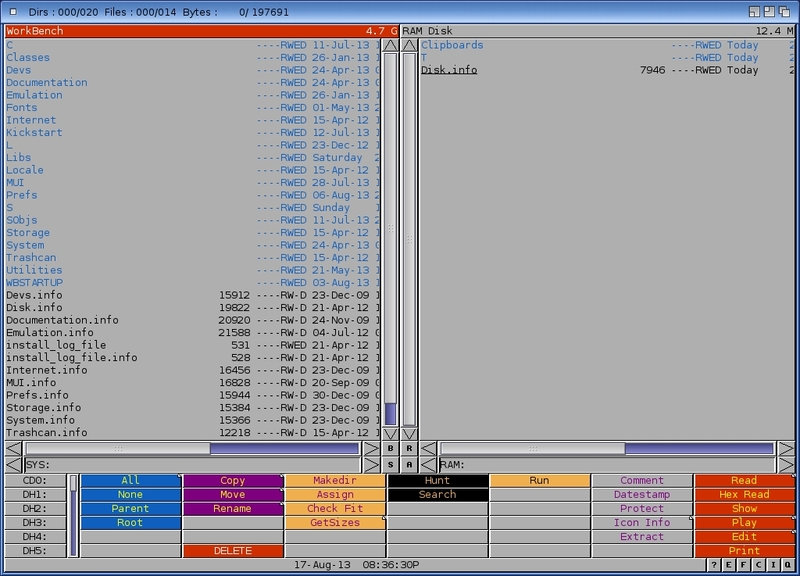 Have a look at the Machine tab from that utility. Would it not be great to know how to get that kind of info? For my first project I will do exactly that. Create a copy of the machine tab from Ranger. First I will just print out all the info and once I have that done I will even create the same look. It will teach me how to get that machine info and also how to create such a layout. It will be a lot of fun. I knew I had not done anything on the File Manager for some time but that the last post was almost a year ago even surprised me. That is probably also the last time I did any programming on it. I even had to read back to see what I was up to at that moment. I decided to continue on Aros using Zune which is an object-oriented GUI toolkit. 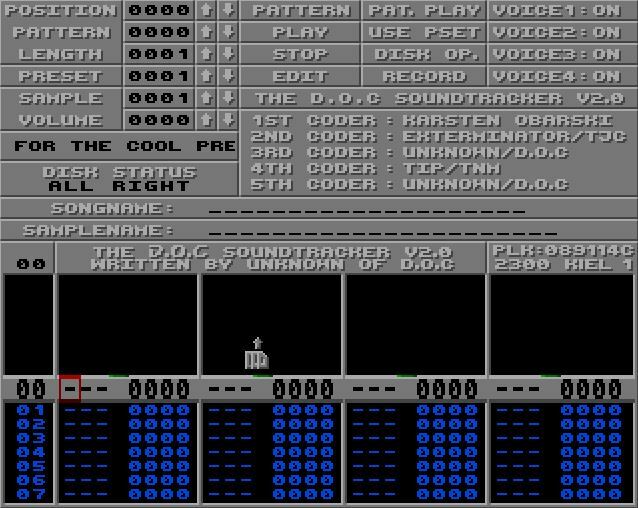 It is nearly a clone (at both API and Look&Feel level) of MUI, a well-known Amiga shareware product by Stefan Stuntz. I am going to switch back to OS4.1 using ReAction. At the time I was still programming using ReAction the wrong way. Since I am doing it the correct way with my Redhouse Editor project I decided to ditch all the current code and use the Redhouse Editor code for which I program ReAction the correct way. So what I have at the moment is a window that is being opened and already has a small menu system in place. The above Window is what I have at the moment. Simple but proper ReAction code so a good start if you ask me. What I plant to do next is to play around a bit with the layout. Getting myself a bit familiar with the Layout Class to make it look like a bit more like a File Manager. When you talk about a File Manager look you instantly think about the two column look like you can see below from Directory Opus. For this I will have to use the List Browser Class. I remember how difficult it was last time I tried to have a go at it. I better be prepared this time and get the job done. The errors I reported in my previous column did not go away. I ended up formatting the DH2 partition using SFS/02 to see how that will work. It has the same problem as JXF that there are no recovery/fixing tools once something goes bad. Seeing as it only happened once with JXF I don’t worry much about it. Programs can be re-installed and with regular backups moved to a different storage device I should be pretty safe. 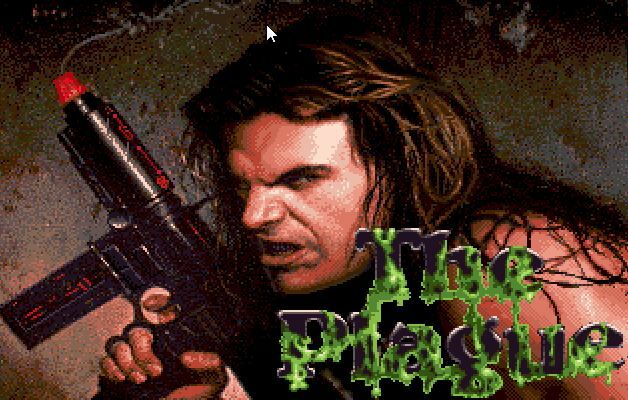 I posted about it on AmigaWorld which caused a massive amount of replies and discussions. I thought I would play Shadow of the Beast on my A1200. I used Multi Kickstart to get Kickstart 1.3 running and start the game. It look promising since it runs smooth till the title screen. But once you start to play the game it looks all messed up and when you start playing it crashes. I really need to get a TV modulator for my A500 so I can play those classics. Most classic games won’t run on my A1200 even with a degrader like Multi Kickstart. Or I need to get another monitor so I can use my A500 again. I probably look into this later this year since I am sure I can pick on up cheap at one of the Amiga meetings / gatherings. But why not try the A600HD I have? That always had a better ratio of working classic games. It is just sitting in the box anyway. I tried Shadow of the Beast which failed on the A1200HD and it works perfectly. So it was that easy? Oh no, not at all. There are always issues. Turns out I had picture but no sound. I even tried two televisions set. The plus from that was that the other one I tried had a better picture. After posting on AmigaWorld it was suggested to use a composite connection. It took me a bit to find out that I need to set the television set to AV to get it to work. Better picture and sound. Of course there was another problem. The sound is not correct. It is not playing all the sounds like it suppose to do. Come to think of it I remember having this issue before with my A600HD and 1084 monitor. So being a hardware issue there is nothing I can do. I did see a cable on AmigaKit that can be used to get get the video and sound from my A500 to the television set. Maybe I order such a cable in the future when I order something from them again. Who knows I might even pickup a cheap monitor before that. At least I have a better picture with my A1200HD on my television set now. 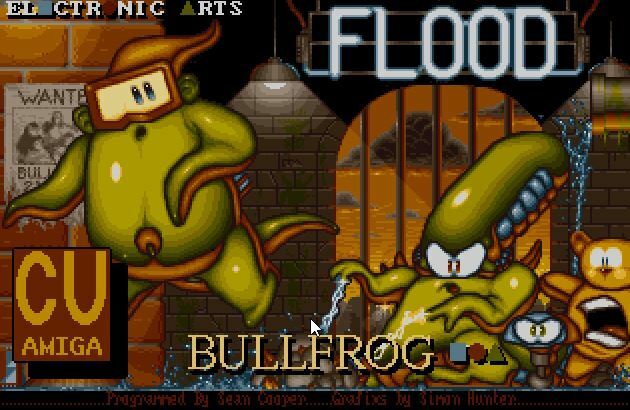 Due to this two issues I spent a lot of time on AmigaWorld this week. It has been a long time that I spent some time on there. Usually it is just for a quick look for news. This coming week I want to spent some time on my programming. I will focus on the Redhouse File Manager so I can get some more programming done on it. At the same time I will write about it. I will also post something about the Redhouse Editor. 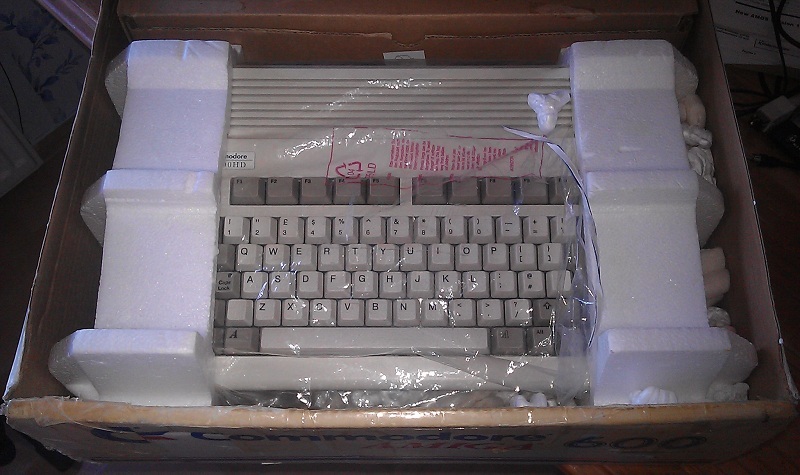 It sure is going to be a busy week when it comes to the Amiga. Just how I like to see it. My A1200HD is up and running again after being “retired” for a bit due to lack of space. I created some space and sourced a table so I could set it up again. I am using a TV since my monitor died on my some time ago. 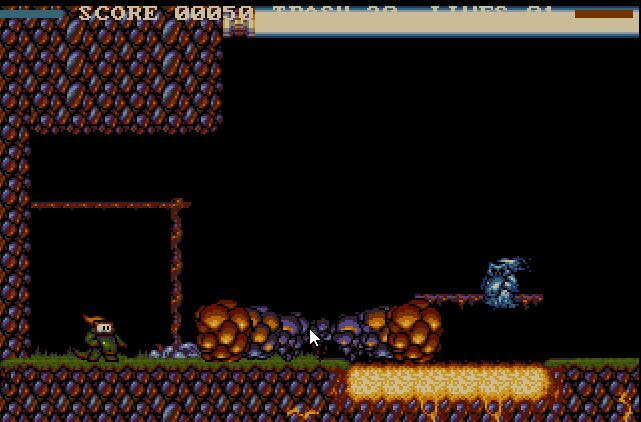 I just love the look and feel when playing Amiga games on the TV. Everything still works as it should. Due to only 2 MB of memory I use the CLI to transfer files from my laptop to my Amiga. This works really great. I have two memory cards which allows me to use a GUI FTP (like AmitFTP) to transfer files but for some reason they give my A1200HD issues. It works fine for a while but suddenly it switches off and will not turn on again. The power light keeps flashing. If I wait a bit it will work again and sometimes it keeps doing it again right away but also works for a longer time but eventually the problem surfaces again. But I am at peace with the CLI using NCFTP to transfer files. I am sure I talked about it before about me having lost my degrader disk. I use this to get Kickstart 1.3 loaded on my A600 or A1200 so I can play games that won’t run on the new Kickstart. I remember looking for it everywhere and as always it turns up when you don’t expect it. 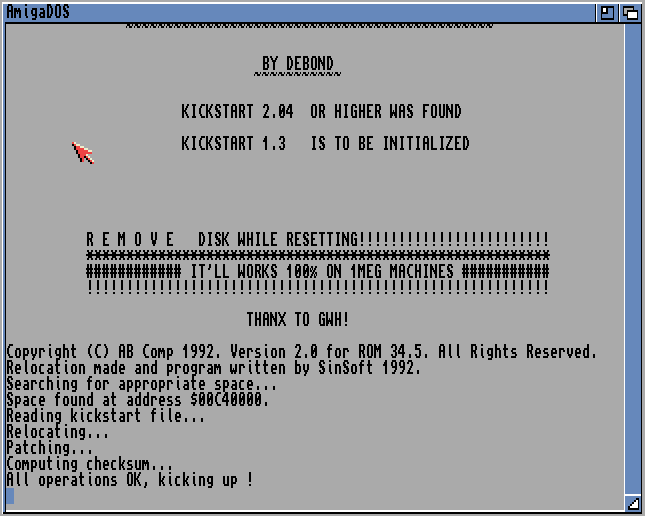 It is called Multi Kickstart and it was written by SinSoft. It does not work for every game of course as many of you might have experienced. There is a new update of AmiUpdate. Version 2.34 is out which I installed right away of course. AmiUpdate is the first utility I run when I have booted up OS4.x. Out of nowhere I suddenly start getting these JXfileSystem errors popping up. I remember seeing something on the screen when I started OS4.1 but everything seemed fine once it was up and running. But I should have known better. It does seem to be related to my DH2 drive which contains my applications. 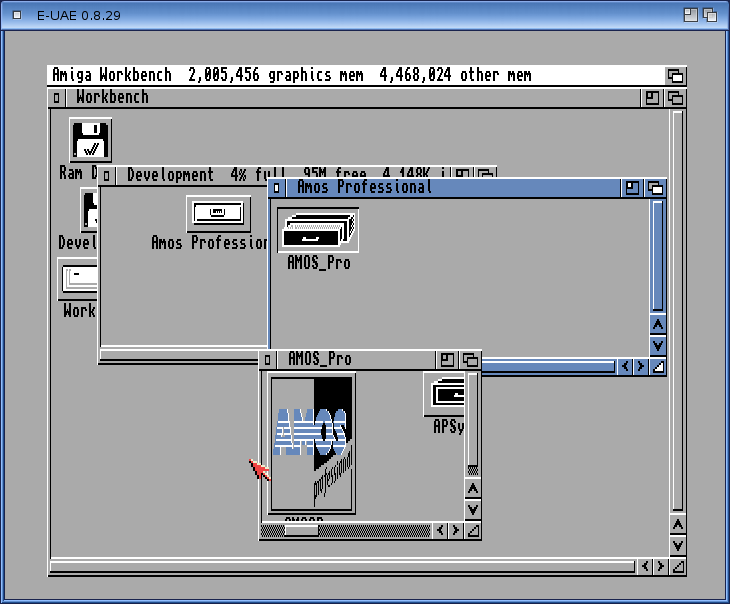 I already posted about this on AmigaWorld to see what can be done but I fear a format of the partition is the only way. Maybe it even will go away and I can go back to normal like this never happened. Fingers crossed! Who didn’t use Soundtracker? It is part of the Amiga history books as so many other great things. Soundtracker is guaranteed to give you hours if not days of material to talk about. 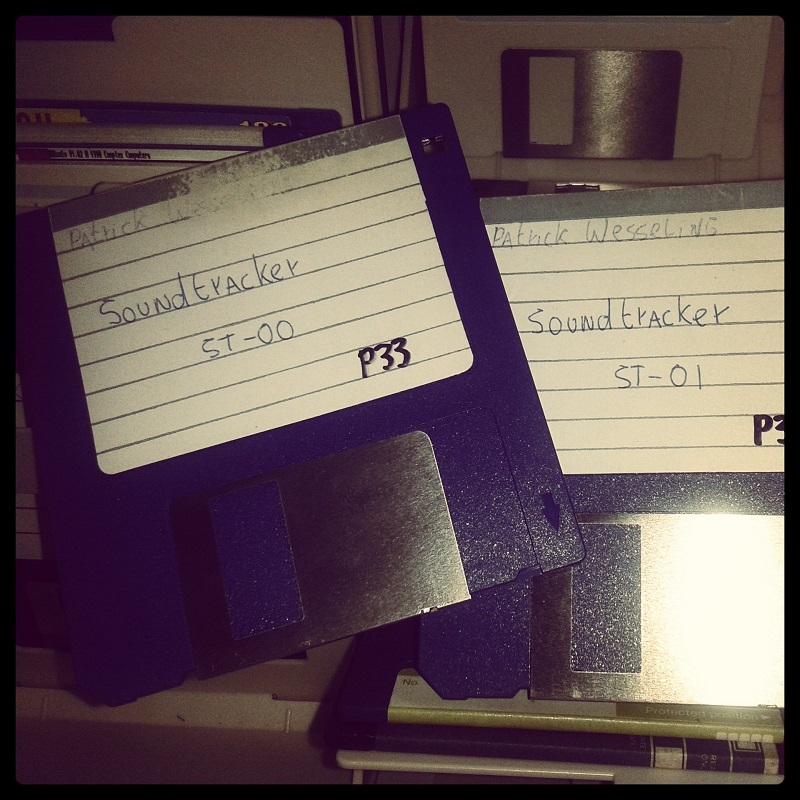 I still have my Soundtracker disks. Once I have my A1200 setup again I will see if they still work. I am pretty sure I had different versions over time. 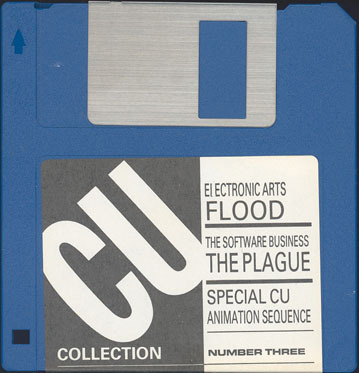 Floppy disks did not come cheap and sometimes you needed some for new games, demos or programs so you used disks containing stuff you would not use for some time anyway. Of course you regretted it not long after it. There was one module you wanted to try first before any other ones. Which one? AxelF of course! Time to look for some other great classics.